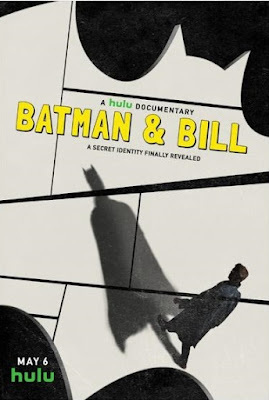 Three friends have connections to the documentary Batman & Bill and those connections have nothing to do with me. My college friend Ron West works for Thruline Entertainment, one of the companies involved in the production. My former neighbor Andy Singer works for Alkemy X, the company that created the evocative animation for the film. My fellow children's book author Judy Schachner is married to Bob Schachner, the audio mixer on the film.